I'm officially the One Handed Woman. Holding Nina in one arm (as she just doesn't want to be put down), has resulted in me cooking, typing, going to the loo, cleaning up and doing the laundry with one hand. Usually the right hand, but I am noticing that my left arm and shoulder is bulking up like a body builder, because even though Nina is a small little creature, she is HEAVY. That relaxed weight over my left shoulder is proving to feel like a big sack of Basmati Rice. 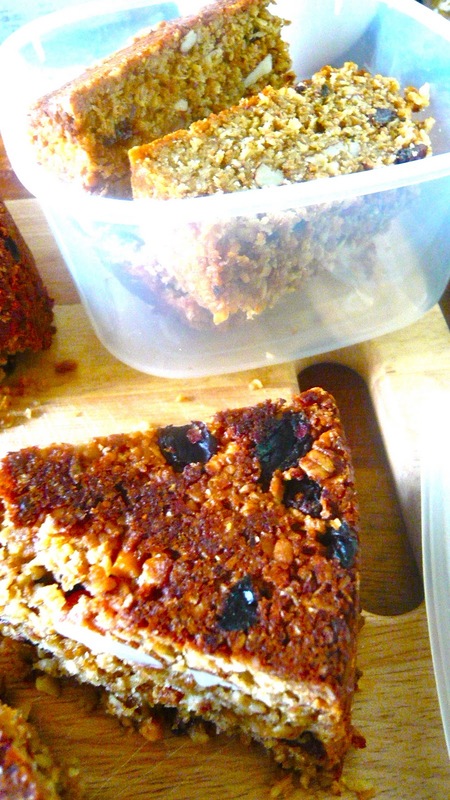 It's easy making Flapjacks, and you can literally pack them full of your favourite nuts and dried fruit. I found a recipe for Honey Flapjack, on the BBC FOOD website, which I then also added Peanut Butter to, just to give it that extra crunch. Great for lunchboxes or post-school snacks... or breastfeeding, one handed mums, who need all the energy they can get. Put the butter, sugar (or maple syrup) and honey (and peanut butter if using) in a saucepan and heat, stirring occasionally, until the butter has melted and the sugar has dissolved. 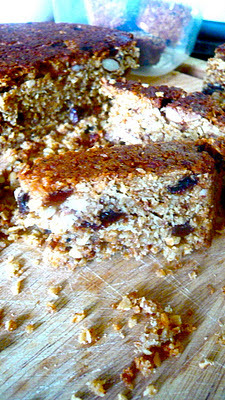 Add the oats and nuts, fruit, ginger or coconut, if using, and mix well. Bake in a preheated oven at 180C/350F/Gas 4 for 15-20 minutes, until lightly golden around the edges, but still slightly soft in the middle. Even with only one hand... I wasn't in too much of a Flap-Jack!